The PlayStation 4 and PS Vita Ys game gets a release window. 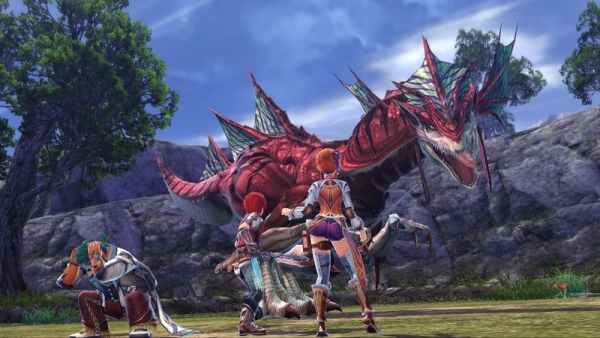 Ys VIII: Lacrimosa of Dana, first announced for PlayStation 4 and PS Vita at Sony Computer Entertainment Japan’s pre-Tokyo Game Show 2014 press conference, will launch in Japan during summer 2016, Falcom announced during a general meeting of stockholders today. The game is set on “Sirens Island,” located in an archipelago of the “Goethe Sea” in “South Greek.” Players can use free dash and jump actions in a variety of attack skills, and the game features automatic mapping, a “Drifting Village” base you can develop by gathering castaways, “Counter-Attack Battles” where you can defend the residential area with castaways (other than Adol), and a number of other new elements. View a new set of screenshots at the gallery. Visit the teaser website here.